Fur People at amazon.com in Kindle, print, and Audible formats. I would love to have a review! Available now for fur-friendly readers! “Hendricks may be the least commercial but most literary of Florida crime writers. . . . Her stories evoke Flannery O’Connor and Erskine Caldwell”--Booklist. “This Vicki Hendricks is one wild dame. She goes places the rest of us have never been, don’t even know the way to; and she comes back with stories that prove that everyone’s lonely, everyone’s trying, and everyone’s human. Even when they’re not”--S.J. Rosan, author of The Shanghai Moon. 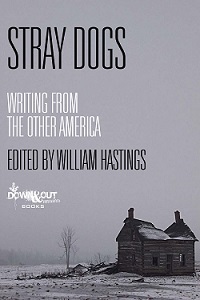 New collection contains Vicki's "M-F Dog" and stories from Willy Vlautin, Sherman Alexie, Eric Miles Williamson, and more. Contact Vicki or Down and Out Books if you would like to do a review.